Acupuncture and Chinese Medicine Developed Around the Importance of Blood Flow! Acupuncture stresses the importance of blood flow in enhancing your energy, reducing your fatigue, and calming your anxiety to enhance your body’s normal functioning! 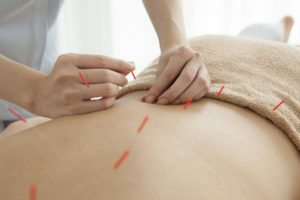 Acupuncture and Chinese medicine developed around the importance of blood flow. This new understanding of Chinese medicine , through blood flow helps to explain acupuncture’s effects on the body! They found that if you increased blood flow throughout the body, the body didn’t age as fast and didn’t get as much disease. Surprisingly, increasing blood flow helped to support the health of the body by delivering the oxygen, the nutrients, the anti-inflammatories, and the feel-good hormones called neurotransmitters to the right places. Health evolved out of the body’s ability to circulate blood freely and abundantly throughout all areas of your body. Health evolved out of the body’s ability to circulate blood throughout the body to every organ, to every gland and cell of the body. The effect of maintaining good blood flow was seen as critical to prevent premature aging and the health problems that arose from the lack of abundant blood flow. It was seen as vital to have more blood flow throughout the body so you age slower and develop. Analyzing the body through dissection and realizing that the key to keeping the Acupuncture helps to increase blood flow in the body. The Chinese anatomist found that poor blood flow is the cause of many diseases. Through the dissections they realized that the organs in your body needed blood flow and excellent circulation to the extremities and to every cell of the body. if you had super circulation throughout all the organs and all the glands of your body, you would age slower and develop fewer problems. However, this is not the case as we get older. 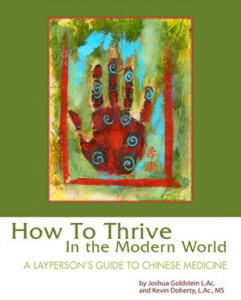 Even though the ancient Chinese did not know about free radical damage, inflammation, Syndrome X, these conditions all impede the flow of blood leading to decreased function, stamina, and conditions of modern day living such as fatigue, anxiety, depression, pain, negative outlooks, low libido, poor hormone function.This all relates back to the importance of blood flow. Acupuncture, Chinese herbs, Qi Gong, and Tai chi, were created to resolve problems of blood flow in the body by working to regulate the flow of blood throughout the body. Are your hands cold? This is how it starts. Then poor circulation to the extremities occurs, from poor blood flow. This then leads to poor circulation to vital organs such as the heart, the liver and the brain. These organs start to lose function as you age because of the poor circulation and the resulting problems that follow. Add to the mix poor diet, stress, alcohol, sugar, toxicity from the environment and you have the recipe for bad organ function. Do you get fatigued, do you have heart problems, it all stems from an organ not getting enough blood flow and in turn causing symptoms. Symptom management will not ultimately lead you to the path where you want to be with your health. Inflammation -Inflammation causes poor blood flow, inflammation of the arteries and the formation of plaque on the arteries and other diseases. Exhaustion of the heart can cause poor blood circulation – This includes anemia pre-anemic conditions that develop. Organs can get too blocked and lack of blood flow can make the organ weak – The most famous example is the coronary artery being blocked from the accumulation of plaque on the arteries. Straining to lift heavy objects from weight lifting to moving your house can cause partial blockage of the blood flow or diminished blood flow to an organ system. Poor lymphatic flow – Organs can have poor and sluggish circulation of the lymphatic system which is a system that is like the arteries that carries fluid and other substances to the heart. If the lymphatic system gets affected, it can back up, like a pool filter, problems can result. During the evaluation we look into the cause of these problems to determine where the body is not functioning properly. Using acupuncture and Chinese herbal medicine, we work at correcting it. Getting rid of the blockage is not simply eating beets. To clear blockage it is important to treat the underlying cause of the blockage. To do this we use acupuncture and Chinese herbs to restore blood flow to the organs. By restoring healthy blood flow, on a cellular and on an organ level, we make the improvements that the body is not resolving on its own. Today more than ever, the importance of blood flow is making a comeback in modern thought!